Welcome to Today@WKU, the daily newsletter from WKU Public Affairs, for November 17, 2017. View from the Hill – WKU vs MTSU Blood Battle: When WKU takes on MTSU tonight there will be another competition besides the football game. It’s a rivalry that will save lives as Amy Bingham reports in this View from the Hill. WKU Student Wins Student Poster Award for the Women’s Special Interest Group: Ava Fergerson, a senior psychological sciences major, has received the Student Poster Award for the Women’s Special Interest Group at the Association for Behavioral and Cognitive Therapies Annual Convention. English Department Launches New Curricula: Over the past two years, faculty in the WKU English Department have been creatively rethinking the English curricula to ensure that our programs serve 21st-century English majors well. Loup Langton is Margaret and Cal Turner Professor in Journalism: The Margaret And Cal Turner Professor in Journalism was established through a $500,000 gift from Margaret and Cal Turner Jr. in 2003. 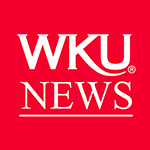 The professorship is in one of WKU’s most nationally prominent programs, the School of Journalism & Broadcasting within the Potter College of Arts & Letters. New Resources For Online Learners And Faculty/Staff Who Work With Them: As you know, this year DELO reorganized to sharpen its focus on online learning and strengthen the support provided to students and faculty. 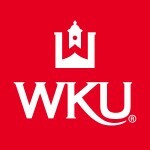 As part of this reorganization, WKU Online & WKU On Demand have joined forces to increase the breadth and depth of the support provided for online learners with a focus on student success and retention, as well as student recruitment. 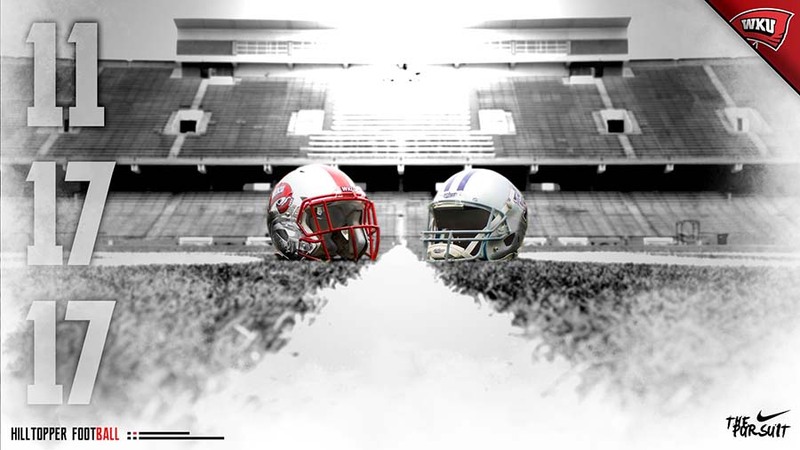 WKU vs. MTSU on Nov. 17. WKU Volleyball’s Alyssa Cavanaugh (right) and Jessica Lucas have repeated as Conference USA’s Player of the Year and Setter of the Year, respectively. 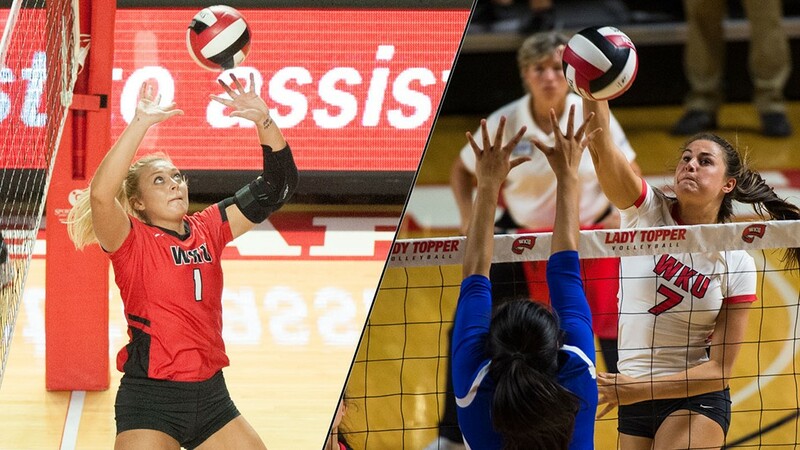 Volleyball: Cavanaugh Named C-USA Player of the Year; Lucas Tabbed Setter of the Year: Alyssa Cavanaugh and Jessica Lucas have repeated as Conference USA’s Player of the Year and Setter of the Year, respectively, the league office announced Thursday. Cavanaugh has collected the league’s top player title for her junior and season campaigns. Lucas has now owned claim to the conference’s top setter award three-consecutive seasons. Women’s basketball: Lady Toppers Add to Signing Class, Ink Abdelgawad: Head Coach Michelle Clark-Heard announced the signing of Egyptian national Meral Abdelgawad on Thursday morning, adding a fourth player to WKU’s 2017-18 early signing class. Abdelgawad joins Akira Levy, Elysa Wesolek and Kallie Searcy as players who have committed to the Lady Toppers for the Class of 2022. Like fellow Egyptian and current Lady Topper Raneem Elgedawy, Abdelgawad will bring extensive national team experience when she arrives on The Hill. Next: WKU (1-2) at Indiana (2-0) at 6 CT tonight. WKU celebrates National Philanthropy Day: Low-income, first-generation and minority students at WKU will have more opportunities and resources thanks to a gift from alumni George and CJ Nichols that was announced Wednesday. WKU seniors striving to salvage season with win over rival Middle: Tonight’s annual rivalry game between WKU and Middle Tennessee will have a bit of a different feel. No. 2 seed Lady Toppers prepared to defend title in E.A. Diddle Arena: The last time WKU hosted a conference volleyball tournament was in 2012 – long before any of the current team’s members arrived on campus. The Lady Toppers won that event, sweeping through Sun Belt Conference competition in three matches. They would love nothing more than the same scenario this weekend. Topper Travelers Program 2018: The WKU Alumni Association is planning a Baltic Cruise across Northern Europe June 21-July 2, 2018. The 10-night cruise across the Baltic Sea aboard Marina will begin in Copenhagen, Denmark, with stops in Berlin, Germany; Helsinki, Finland; St. Petersburg, Russia; Tallinn, Estonia; and Stockholm, Sweden. Early registration pricing ends Nov. 21. For information, visit alumni.wku.edu/baltic2018 or contact the Alumni Association at 800-842-9023 or alumnievents@wku.edu. Exhibits at Kentucky Museum: Instruments of American Excellence; A Culture Carried: Bosnians in Bowling Green (through June 30); Backward & Forward: 20th Century Quilts (through Jan. 22); New Kentuckians (through Feb. 2); plus other gallery and on-campus exhibits. (Museum hours/visitor information) Contact Kentucky Museum, (270) 745-2592. Library Special Collections Exhibit: Kentucky in the Great War (through Dec. 8). Kentucky Building’s Jackson Gallery. Contact Jonathan Jeffrey, (270) 745-5265. Exhibits at Downing Museum: The Story of Joe Downing: Select Works From the Collection; Jack Lunt Memorial Juried Art Exhibition (through Dec. 16). Downing Museum, 4801 Morgantown Road. Contact Jack LeSieur, (270) 842-7415.
International Year of Bosnia and Herzegovina. Various events and locations during 2017-18 academic year. Contact International Programs, (270) 745-5334. Arts at WKU 2017-2018. Various events and locations. Contact Potter College of Arts & Letters, (270) 745-2344. Conference USA Volleyball Championship. Quarterfinal games: WKU vs. Charlotte, noon; Southern Miss vs. Rice, 2 p.m.; Marshall vs. North Texas, 5 p.m.; and Florida Atlantic vs. UTSA, 7 p.m. Diddle Arena. Contact Athletics Communications, (270) 745-4298. 4:30 p.m.: WKU vs. MTSU Tailgate and Celebrate, presented by US Bank. WKU South Lawn. Contact Alumni, (270) 745-2586. 6 p.m.: Faraway Flix Film Series: An Episode in the Life of an Iron Picker. Cherry Hall, room 125. Contact Shaden Melky, (270) 745-5139. 6 p.m.: NIRSA Regional Flag Football Championships: Battle of the Bluegrass. Hattie L. Preston Intramural Complex. Through Nov. 19. Contact IMREC Sports, (270) 745-6547. 7 p.m.: WKU Football vs. Middle Tennessee. Houchens Industries-L.T. Smith Stadium. Contact Athletics Communications, (270) 745-4298. 7 p.m.: Dance Production: Winterdance: ‘Tis the Season. Van Meter Hall. Tickets are $15; $12 for students and senior citizens; $10 age 12 and under. Contact Theatre and Dance, (270) 745-5845. Conference USA Volleyball Championship. Semifinal games at 1:30 p.m. and 4 p.m. Diddle Arena. Contact Athletics Communications, (270) 745-4298. Hack the Hill. Various locations. Continues Nov. 19. Contact Ogden College, (270) 745-4449. 8 a.m.: Black Leadership and Academic Conference. Mahurin Honors College-International Center. Contact Josclynn Brandon, (270) 745-4434. 8:30 a.m.: 2017 WKU FIRST LEGO League Qualifying Tournament. Knicely Conference Center. Contact John Inman, (270) 745-3048. 8:30 a.m.: NIRSA Regional Flag Football Championships: Battle of the Bluegrass. Hattie L. Preston Intramural Complex. Through Nov. 19. Contact IMREC Sports, (270) 745-6547. 9:30 a.m.: Fall Super Saturdays. Various campus locations. Contact Gifted Studies, (270) 745-6323. 10 a.m.: Christmas Ornament Workshop. Kentucky Museum. Contact Lynne Ferguson, (270) 745-2592. 3 p.m.: Recital: Maddie Hughes. First Christian Church, 1106 State St. Contact Music, (270) 745-3751. Hack the Hill. Various locations. Contact Ogden College, (270) 745-4449. 8:30 a.m.: NIRSA Regional Flag Football Championships: Battle of the Bluegrass. Hattie L. Preston Intramural Complex. Contact IMREC Sports, (270) 745-6547. Noon: Conference USA Volleyball Championship Game. Diddle Arena. Contact Athletics Communications, (270) 745-4298. 2p.m. : Hardin Planetarium Show: Lives of the Stars. Hardin Planetarium. Contact Planetarium, (270) 745-4044. 2 p.m.: Dance Production: Winterdance: ‘Tis the Season. Van Meter Hall. Tickets are $15; $12 for students and senior citizens; $10 age 12 and under. Contact Theatre and Dance, (270) 745-5845. 3 p.m.: Fall Cello Recital/Pre-College Strings. Ivan Wilson Fine Arts Center Recital Hall. Contact Music, (270) 745-3751. 5 p.m.: Hilltopper Basketball vs. Nicholls State. Diddle Arena. Contact Athletic Communications, (270) 745-4298. 7 p.m.: Dance Production: Last Chance to Dance. Van Meter Hall. Free admission. Contact Theatre and Dance, (270) 745-5845.